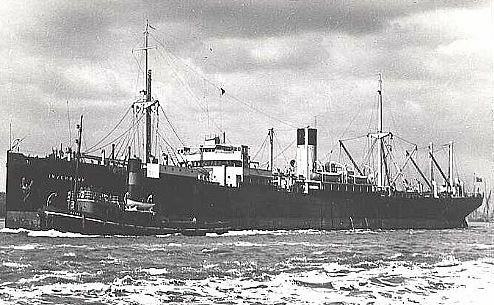 Renamed Liguria in 1958, Frassinetti & Co Soc. Italiana di Nav per Azioni. The first of 18 "Inverbank" Class vessels built by Harland & Wolff Ltd.,at Glasgow, one of the largest individual orders ever executed.